Create successful e-mail campaigns that identify with your prospects. 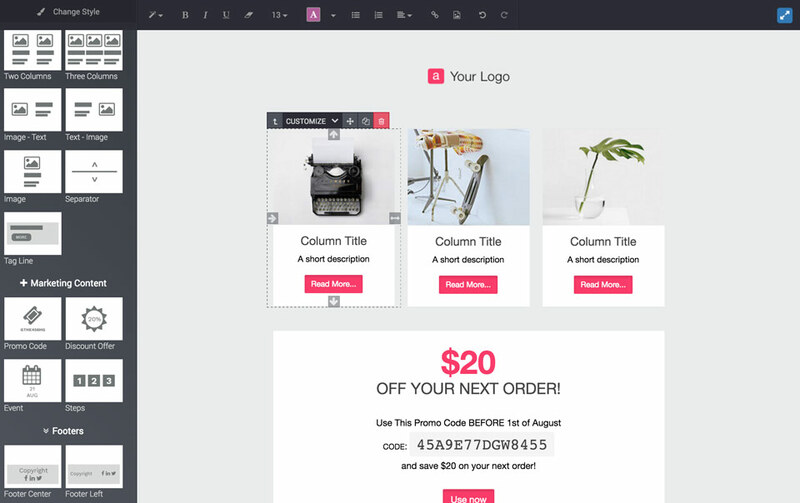 Get full control over e-mail content and layout thanks to intuitive and easy-to-use software. 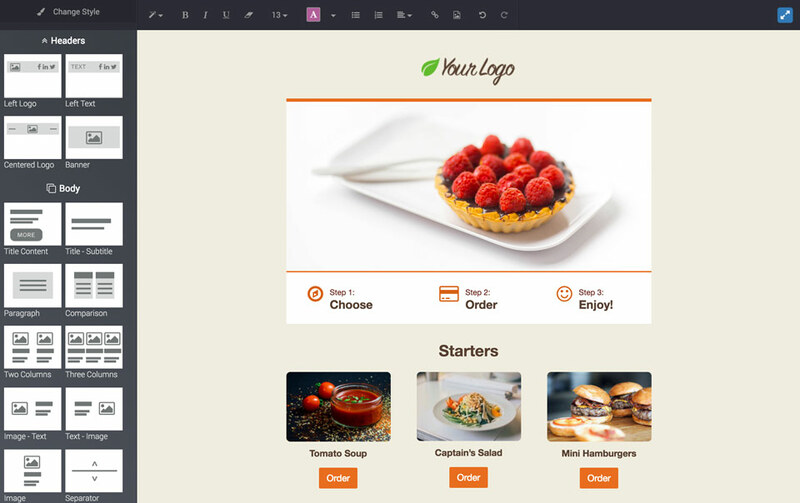 Just select one of our templates, readjust the layout, add your message and images. This way you are ready to send the newsletter. Choose building blocks and place them exactly wherever they appear in your e-mail. Optimize your results by sending your campaigns to target groups within your database. Select leads, customers, or any other group from your contact list by country, by date, by role, and more. All designed to ensure that you send only to the ones you want. 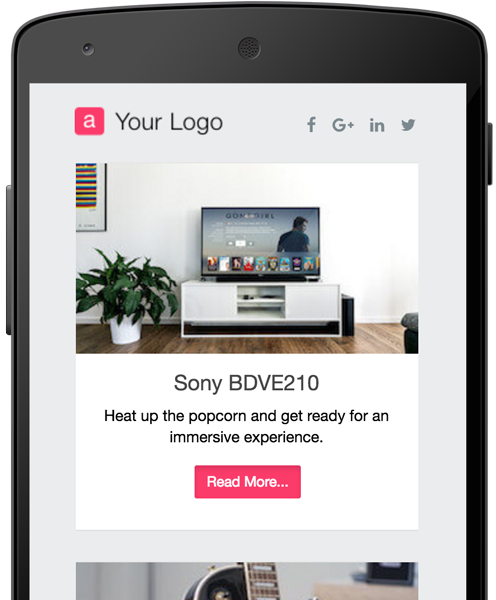 Make sure that your e-mail newsletter is displayed effectively on all screens, providing a comfortable read in any place. Get accurate and real time statistics on all e-mails you send. Easily track the percentage of viewed e-mails, rejection, clicks and improve your overall marketing strategy. Follow the opportunities generated and track the expected revenues. Add a tracking code to the links in your e-mail campaigns and get a complete view of each campaigns performance in a dashboard with Odoo Link Tracker. Follow your opportunities through Odoo CRM and analyze the conversion rate, expected revenue and revenue generated for each of your campaigns. Use filters for further analysis. Track all interactions with your opportunities and customers and improve your sales cycle. Create invoices automatically based on sales orders, delivery orders or contracts.